Intel Capital today announced an investment of $ 117 million in 14 startups doing things like making AI inference faster, helping manufacturers deploy AI systems, building semiconductors, and creating disruptive tech beyond AI in health care and communications. An Intel Capital spokesperson declined to share specific amounts invested in each startup. Intel Capital routinely invests between $ 300 million and $ 500 million annually in startups creating unique, forward-thinking, or disruptive solutions. China’s Didi Chuxing is forming a strategic partnership with Careem, a mobile ride-hailing platform that operates in the Middle East and North Africa regions. As a part of the cooperation, Didi will make an investment in Careem. However, no financial terms of the deal were made available. Meanwhile, the two parties will implement sharing and cooperation in smart transportation technology and product development and operation. Cheng Wei, founder and chief executive officer of Didi Chuxing, said that urban populations in the Middle East and North Africa are growing rapidly and the economic and social structure of those regions has become more diversified which creates huge development space for the shared transportation industry. With the cooperation, they are looking forward to inspiring technology innovations to promote the transportation industry development of the Middle East and North Africa and release the potential of local Internet economies. At the same time, Didi expects to further promote its technologies and experience in the international market. Mudassir Sheikha, co-founder and chief executive officer of Careem, said that Didi brings important artificial intelligence technologies, knowledge and vision to Careem. They are looking forward to a deep long-term relationship to seize growth opportunities with technology innovation and sustainable development. Founded in Dubai in July 2012, Careem is a ride-hailing service provider in the Middle East and North Africa. The company operates in more than 80 cities in 13 countries, including Pakistan, Turkey, Egypt, Morocco, Saudi Arabia, the United Arab Emirates, Qatar, Kuwait, Bahrain, Oman, Jordan, Lebanon and Palestine. It has over 250,000 drivers and 12 million users. Tencent has invested additional USD90 million into the American gaming company Pocket Gems, and is increasing its stake in the latter to 38%. Tencent first invested in Pocket Gems in 2015. At that time, that the Chinese Internet company invested USD60 million in acquiring a 20% share of Pocket Gems. After this new investment, Tencent’s stake in Pocket Gems will increase to 38% and this deal values Pocket Gems at about USD600 million. Pocket Gems only has two main games: Episode and War Dragons. Therefore, it is quite impressive for the company to gain such a high valuation. Pocket Gems was founded in 2009 and its games have reportedly been downloaded over 300 million times. Pocket Gems will reportedly achieve operating revenue of USD17.5 million in April 2017 and its annual operating revenue would be over USD200 million in 2017 if it could maintain the performance. Pocket Gems revealed that the company’s operating revenue and player number set new records in 2016; however, no detailed statistics were available. 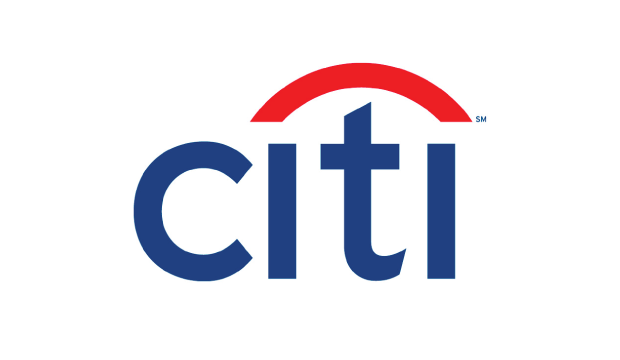 Citi provides consumers, corporations, governments, and institutions with a broad range of financial products and services, including consumer banking and credit, corporate and investment banking, securities brokerage, transaction services, and wealth management. The company used TIBCO ActiveMatrix BusinessWorks, TIBCO Enterprise Message Service, and TIBCO ActiveMatrix BPM to revamp its strategy; improve its agility, innovation, flexibility; and bring fast results. Learn more about Citibank Asia’s accomplishments and continuing plans for improvement. The stagnation of the credit market in Brazil has prompted credit information services company Experian to invest in technology innovation to reinvest its business in the country. In Brazil, Experian is the result of a merger with local credit analysis firm Serasa, acquired in 2007. Things are quite different now as the Serasa acquisition happened during the borrowing peak in Brazil: with the current credit slowdown in the country, the firm has been forced to look into other ways of generating revenue. Technology has played a key role in this reinvention of sorts: Brazil is home to one of its three global DataLabs, facilities that concentrate on data asset evaluation and acquisition as well as new product prototyping. Since launching a year ago, the Brazilian lab has focused on projects such as Pólis, a platform that analyzes the dynamics of cities. The system can help decision-making processes of businesses such as choosing locations of new points of sale based on their target audience. The system is also able to analyze data from sources such as the media and other partners to predict events such as floods or concentrations of people in protests. The system then sends notifications to users in nearby areas via mobile. These users could be customers of insurance companies, for example. In addition, the firm’s Brazilian lab has worked on fraud prevention platforms, with the creation of buying probabilities based on the spending histories of consumers and small businesses. Individual profiles are updated daily with new transactions so that, when a purchase outside of the pattern is identified, consumers and businesses are immediately issued with a warning of possible fraud. Experian Brazil is also working on social media monitoring, with tools that analyze text and images posted on social networks to ascertain how a particular company is positioned in terms of reputation when compared with competitors, for example. This is hoped to help businesses win more customers, improve their corporate image and respond to complaints more efficiently. Headquartered in the United Kingdom, Experian employs 17,000 workers globally and posted sales of $ 4.8bn last year. In addition to São Paulo, the company has data analytics labs in London and San Diego. Chinese telecom device maker ZTE and its subsidiary Xinghe Capital and ZTE’s executive director Yin Yimin have signed an agreement with 47 investors to establish a joint venture with total investments of CNY1.2 billion. NetEase said that Reforged Studios’ founding team members previously worked for well-known gaming companies, including Riot Games, Electronic Arts, and Blizzard Entertainment. The official website of Reforged Studios has information of nine members of the company, including four co-founders holding positions of CEO, COO, CTO, and “Game Tech Lead”; and other five persons taking art director, innovation director, senior designer, senior engineer, and brand manager roles.